Wayne C. Collison of Greenwood, DE passed away at home on Saturday, November 17, 2018. He was 76 years old. He was the son of the late Lester and Mabel Collison. Wayne was in the Army National Guard for 6 years during the Vietnam Era. He ran the family farm and retired from the E.I. DuPont Co. in Seaford, DE after 38 years, where he worked as a computer programmer. He was a member of the Hickory Ridge Community Church, Greenwood, DE. 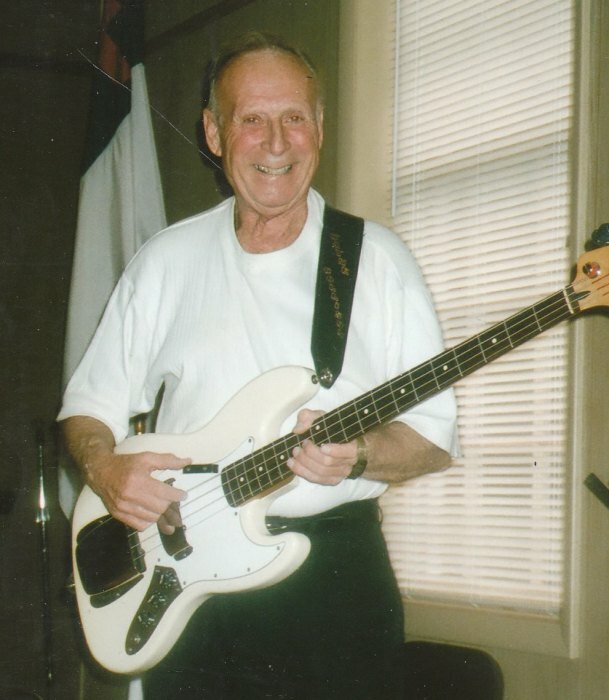 Wayne's passion was music and he enjoyed playing his guitar, particularly gospel and country music. He played lead guitar for the "Old Friends Group" of Easton, MD and the "Sounds of Joy" group of Laurel, DE. He was a hard worker, and handy man that could fix anything. He also enjoyed fishing and gardening in his free time. In addition to his parents, he is preceded in death by his brother. He is survived by his wife Susan; son John Bryan Collison, Sr; and other extended family. Funeral services will take place at Melvin Funeral Home, 15522 S. DuPont Hwy., Harrington, DE 19952, on Saturday, November 24, 2018 at 11 AM with a visitation for family and friends one hour prior. Interment will follow at Hollywood Cemetery, Harrington, DE. In lieu of flowers, donations may be made to Hickory Ridge Community Church, PO Box 337, Greenwood, DE 19950, in memory of Wayne Collison. Arrangements are by the Thomas E. Melvin & Son Funeral Home Inc, Harrington, DE. Please visit us at ww.melvinfuneralhome.com to sign the condolence book.